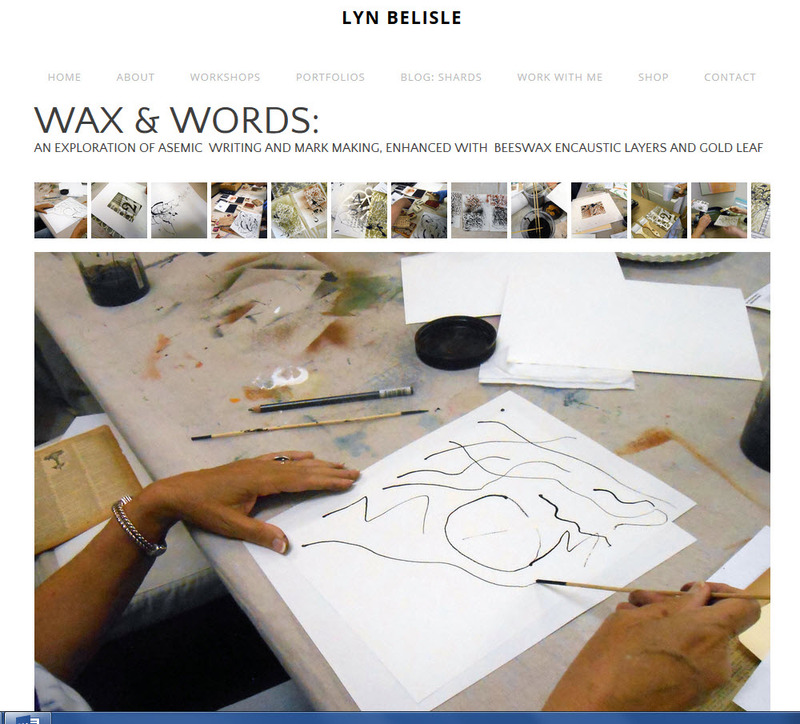 This entry was posted in Encaustic, new studio, Studio, Teaching, workshops and tagged beeswax, calligraphy, collage and composition, mark making, Semmes Studio by lynbelisle. Bookmark the permalink. I’m excited about the workshop, and I love your blogs. As I was packing my office last week, I ran across some materials from the short period of time I was working with SAALM.